För en gångs skull är ni besparade långa utläggningar om dittan och dattan, utan jag låter (för det mesta) bilderna tala för sig själva. Som jag berättade i föregående inlägg så är Pitti Uomo inte så mycket en modevecka, som det är en modemässa, även om vissa märken har modevisningar under veckan. Det mest intressanta med Pitti är dock gatumodet som syns på området. En klädstil kallad Sprezzatura har sin höjdpunkt i Pitti och hit vallfärdar alla Sprezzaturaentusiaster två gånger per år för att visa upp sina Great Gatsby-inspirerade påfågeldräkter. Dessa är i huvudsak män, men vissa kvinnor har anammat stilen de med och tappert kämpar dessa nästan maskeradklädda människor mot hettan. Jag valde för en gångs skulle att ta ett steg ut ur min trygghetszon och här är vad jag hade på mig under mina tre dagar i Pitti. När det kom till dag tre var jag färdig med att svettas ihjäl och klev tillbaka in i min trygghetszon där jag blandar stilar hejvilt. Jag vill lyfta fram några detaljer här. Först och främst min fluga, designad av Londonbaserade Rory Hutton, som jag träffade under modeveckan i London och som besitter den unika förmågan att designa flugor och bröstnäsdukar som till och med en streetstylekille som jag kan känna mig bekväm i. Den andra detaljen är bröstnäsduken designad av svenske Billy Nord och detta är en av flera i serien av stadskartor över hur städer såg ut på 1920-talet. I kollektionen fanns lyckligtvis även en sådan från Florens vilket ju var passande. I love these three looks and they’re probably my favorite out of all the ones you’ve posted thus far! I like the contrast and variety from all three! You look so sharp in the first one. I also love the contreadt of the blue blazer in the second outfit with the blush pants. And of course the shorts won me over in the third! It’s been awhile since I’ve been on your blog. 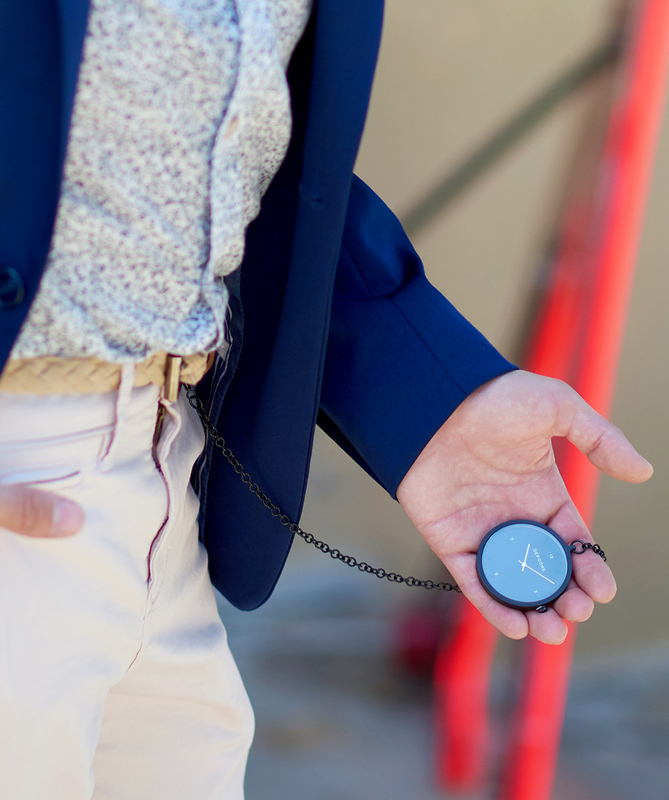 It never truly disappoints when it comes to your personal style and to the places you go! you’re so lucky! Also, I am in love with the first outfit that you wore here. Where did you get this suit and I might just get one for the Mister. I hope you’re enjoying Florence. I can’t wait to visit Florence myself. Thomas I love all three outfits. Great choices – particularly the windowpane suit. I am in love with all three of these outfits! I think my favorite has to be the first one, I love the white on white! Also I am obsessed with that Gucci bag! Can I have it?! Amazing!! Each picture had me saying, ”Go Thomas! !” To say you looked fabulous and dapper would be an understatement!!! Omg! You showed out! I love each and every one of your outfits and your bags had me drooling!!! The bow tie was so cute!! You get an A+ for these looks in my book! I actually spent so much time here yesterday and again this morning just amazed at all of your different outfits and also by searching the links which you shared. Wow. I am obsessed with the umbrella bow tie from Rory Hutton and every single pocket square from Billy Nord. It’s awesome that they had a Florence one and I really love how they are so artfully designed. Extreme masterpieces combining art & culture and really that’s what I think your outfits here all portray. I saw you in Eric K. Fashion’s video and I was SO excited !! The outfit was divine and perfect and especially your hat and bag and jacket. And sunglasses and watch. I guess everything!!! Seriously, I loved seeing you in a suited type of look because it shows that style is just style. Not about a certain look or catagory, just a way of putting things together and presenting yourself to the world eloquently but also letting your truly self shine. And you mastered that. I can’t stop thinking about that bag and I remember when you blogged about it!!!!! I wish I had one to take to Disney !! You are killing it! I love your day 2 outfit. Such a fun way to pair a suit jacket and shorts. Whao you look great Thomas! I have to say this might be favorite look on you thus far. It’s definitely a statement without it being too much. I’m in love with the print of the suit. My boyfriend has been looking for something similar – have to share this post with him. your style is impeccable!! I’m loving that gucci bag. sounds like you had a wonderful time!! Love the way you made tailored looks so playful! Very fitting for Pitti! What a stylish time it looks like you had in Florence Thomas! It’s great to see you repping some tailoring and putting your own twist not hose classic looks! I am obsessed with your style! I’m loving that suit on you, from day 1, and how cool is that pocket square! OMG! Tom, it feels good to step out of your comfort zone right? All the looks and photos are amazing! I’m particularly obsessed with your look for day 3! Can’t wait to see more my friend! Day two was by far my favourite outfit of the three days! You always look so dapper in a suit! That white suit is so sharp on you! Such a cool experience, and always a fan of street style! I think your last look was my favorite, you pull it off so well! 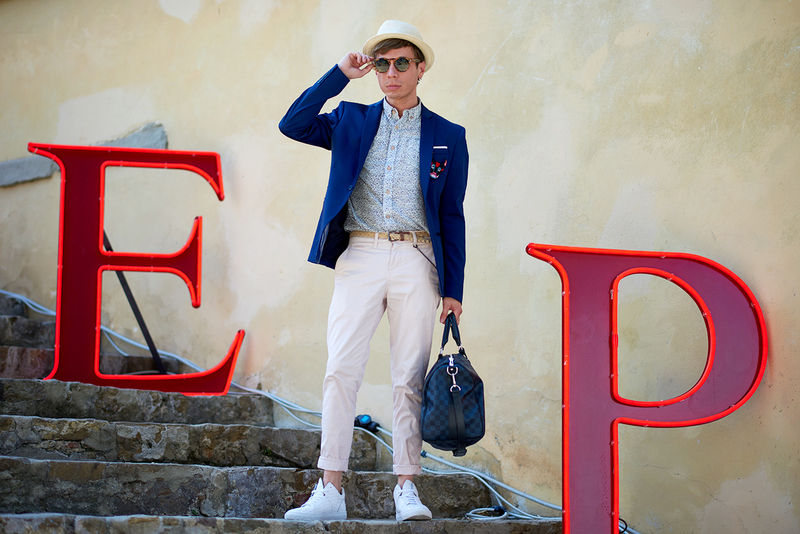 I bet you were the most stylish man in the street of Florence! Love how you completely updated traditional suit looks and made them look so fun and still classic. 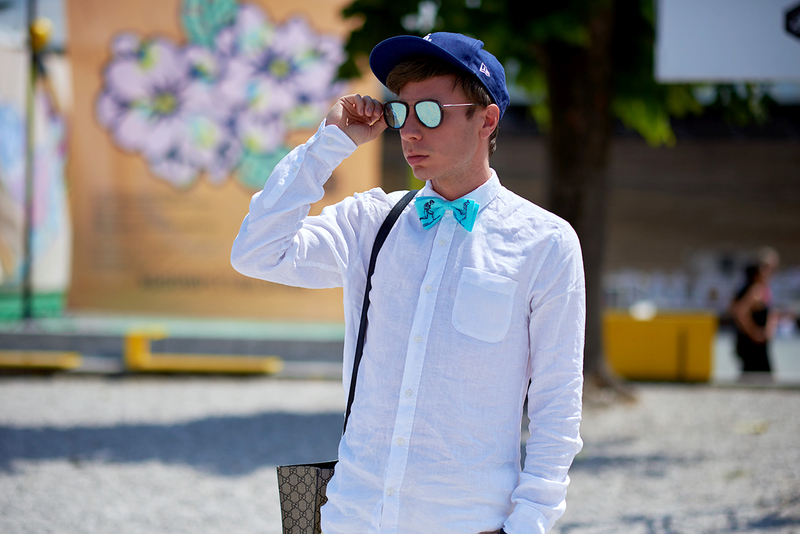 You are right about that bow tie as it totally suits you who has the best street style!! I actually start liking accessories like bow ties and pocket squares on men after seeing how you wore them! Great job on styling all these amazing looks and you know I love that Gucci tote 😉. Thomas, I have to say that this white suit looks amazing on you! And the way you combined it with the hat and sneakers…oh my God! So stylish, you definitely should wear suits more haha. Second and third outfits are more casual but trendy and stylish, so i like all 3 outfits you. Very eye-catching! Oh my goodness! This is so fun! ADORE the first suit and love the more relaxed look on Day 2. The sunglasses are out of this world – beautiful! You suit up really well Thomas! The color coordination and the mix of different prints keeps each outfit unique and fun. And I have to say, I love your bag collection haha 🙂 Seems like you were blessed with beautiful weather while you were there!! I love all the looks, but the 1 one especially!i know you are not that much for suits… but it is really cool! So elegant and unique! I always enjoy seeing the outfits you put together because you have some sort of unique twist on them…and I love that. I really love your white suit, it look so light and airy and I love that it is a set that could totally be worn separately too if you wanted to. I also love how you pair that sport coat with short, style on point! All of your photos are amazing and I agree, totally speak for themselves! Aw Thomas, you are so so stylish and dapper! Whether the window pane suite on day one or the suite with distressed yellow shorts on day three, you have epitomized the Italian summer style! I love that Gucci tote so much, it really dresses up any outfit! My favorite look is Day three, it combines your original Thomas style with the Italian influence. 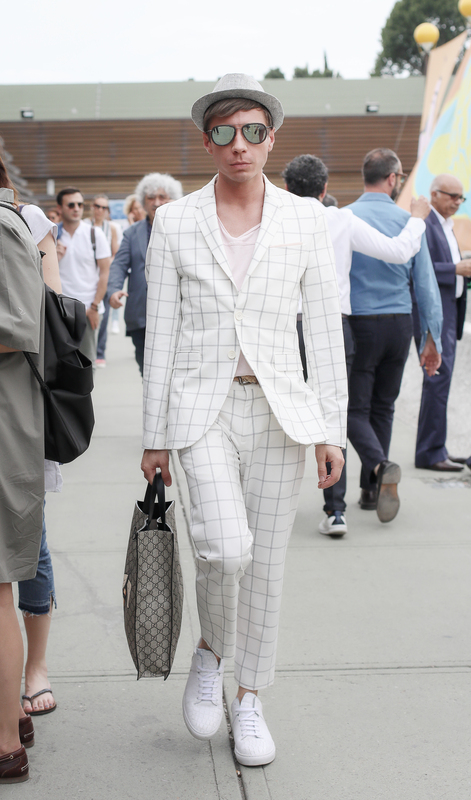 You killed the Pitti Uomo this year!! 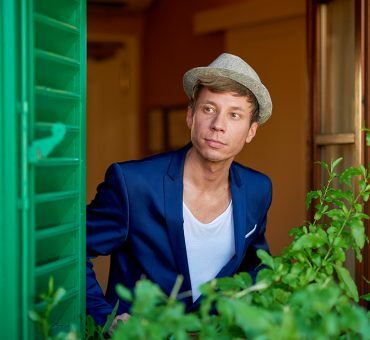 Your looks are perfect for Italian style, so I’m happy that you decided to share these! I love your checked suit! It’s so stylish and definitely creates a very refreshing look for this summer. However, with the heated summer weather, I can totally picture your battle with the heat! It’s not easy to be a guy during the summer! You need to look good and not to sweat too much. Total hard work. Fashion week looks amazing. So lucky of you to attend all those shows! It’s like everyone’s dream! U are living the dreams Thomas !!! All the styles are amazing. Such a fan of your great style and great fashion sense. 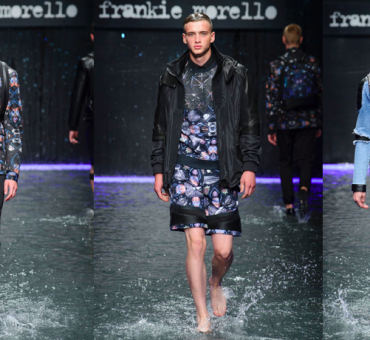 Ahhh I would have loved to see these outfits strut among the streets of Florence in real life! I have to say I love all three because they’re so different!! It’s so great to see how creative and fun suits can get when you stray away from traditional! I have to say that most people can’t pull off a white suit, but you certainly did in that grid one from day 1! Loved it!! I love the bold cobalt of day 2 and the quirky vibes for day 3! Hey Thomas! I hope your time in Florence was amazing! You are rocking those suits! I know it’s not your style but it looks fabulous on you. I’m obsessed with the plaid suit and the way you styled it is perfect! I also love all the thought that goes into your styling. Each outfits details amaze me. 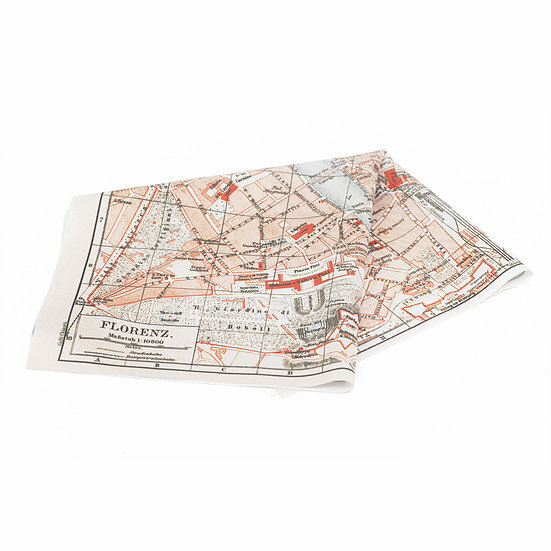 The map pocket square perfection! Dear Tommy, I love these looks brother! Totally my kind of style. It’s like we flipped clothing haha. The details are perfect as per usual. 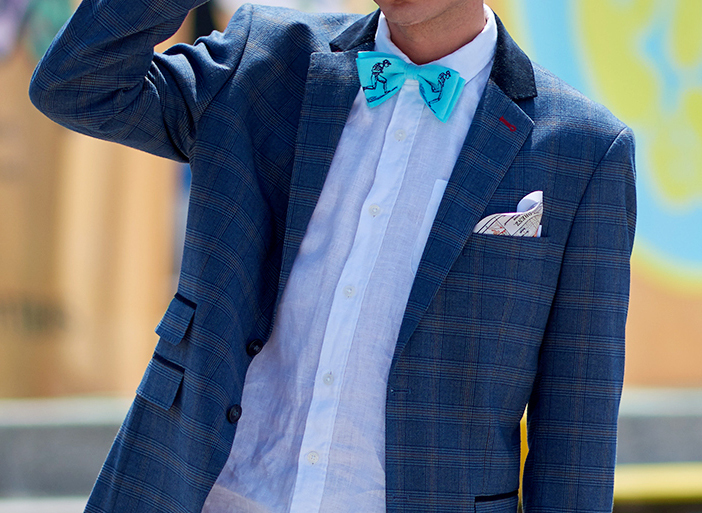 That bowtie is everything! And you know I love me some Gatsby vibes! I love me a blazer and short combo and you pull it off so well! Lastly THOSE HATS! Repping my home again I see! LOVE IT! Great outfit inspiration for days! And beautiful shots as always brother.